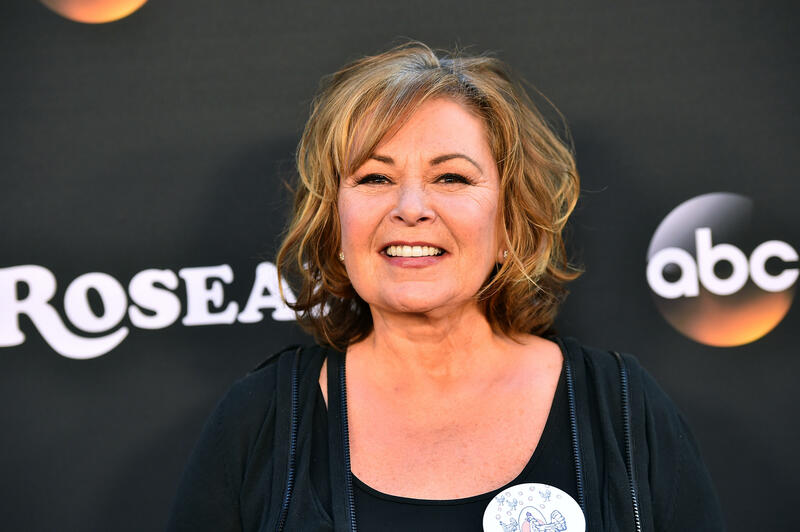 UPDATE: ABC has announced that it is canceling "Roseanne" in the wake of Roseanne Barr's tweet. ABC Entertainment president Channing Dungey called Barr's tweet "abhorrent, repugnant and inconsistent with our values." Her agency, ICM Parthners, also dropped the actress as a client. Read more. Roseanne Barr is apologizing after she posted a racist tweet about Valerie Jarrett, a former senior adviser to President Obama. Barr compared Jarrett, who is black, to an ape in a tweet. After initially pushing back against criticism of the comment, Barr now admits her "joke" was in "bad taste" and says she is leaving Twitter. Barr's tweet about Jarrett said, "muslim brotherhood & planet of the apes had a baby=vj." She later deleted it and said she was sorry. "I apologize to Valerie Jarrett and to all Americans. I am truly sorry for making a bad joke about her politics and her looks. I should have known better. Forgive me-my joke was in bad taste." I apologize. I am now leaving Twitter. Earlier, Barr had rebuffed accusations of racism by insisting that "Islam is not a race." But her eventual admission that the joke was about Jarrett's "looks" seemed to confirm that the ape comment was indeed about Jarrett's appearance. The offending tweet came late Monday night, amidst a series of tweets referring to George Soros as a Nazi and Chelsea Clinton as a Soros family member (Barr apologized and took it back, then attacked the family of Clinton's husband, Marc Mezvinsky, instead). Barr is a vocal Trump supporter, as is her character on the "Roseanne" revival on ABC. President Trump called Barr to congratulate her after the first episode of the reboot scored record ratings. The comedian Wanda Sykes, a consulting producer on the show, tweeted that she will not be returning in the wake of Barr's comments.